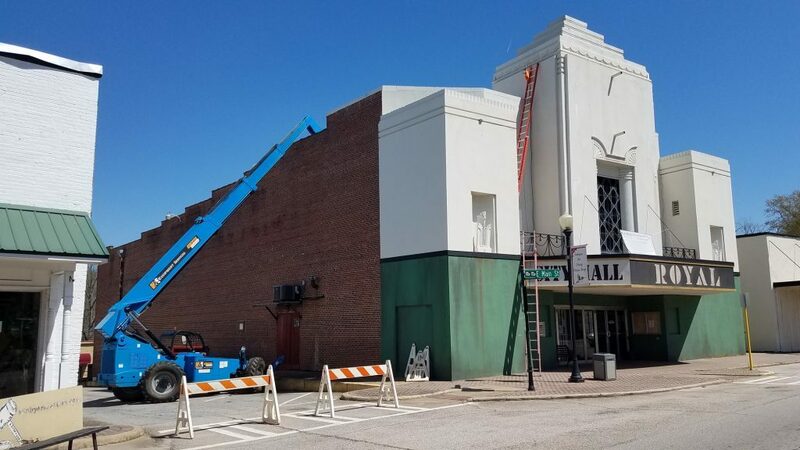 Contractors for the City of Hogansville began work Wednesday March 27 to replace the roof on the iconic Royal Theatre in historic downtown. 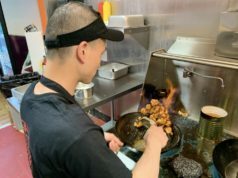 It is expected to be completed by next week. 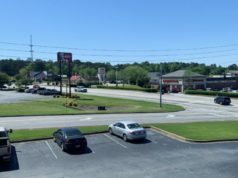 The City Council awarded the contract to The Roof Depot, Inc., which also was the low-bidder on the vacant PNC bank building that will eventually serve as Hogansville’s future City Hall. The project is being funded with SPLOST dollars and a $20,000 grant provided through the Historic Preservation Fund of the U.S. Department of the Interior’s National Park Service and administered by the Historic Preservation Division of the Georgia Department of Natural Resources. A master plan, paid in part by a Fox Theatre Institute grant, was approved last year and calls for the historic building to be renovated for use as a theatre and community center. 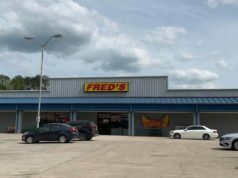 The city has extended its contract with Carter Watkins Associates Architects, Inc., thanks to a subsequent Fox Theatre Institute grant, to develop architecture plans and specifications for ongoing rehabilitation of the building. Pardon our Progress!